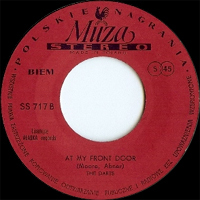 Groupe Rock 'n' Roll Anglais fondé en 1976 et comprenant Rita Ray (née Lydia Sowa le 11 Décembre 1954 au Ghana), Den Hegarty (né Denis Hegarty le 13 Septembre 1954 à Dublin), Griff Fender (né Ian Collier le 3 Juin 1954 à Portsmouth, Hampshire), Bob Fish, (né Robert Fish le 3 Juin 1949, Rochford, Essex), Horatio Hornblower (né Nigel Trubridge le 15 Janvier 1957 à Brighton, Sussex), Thump Thomson (né Iain Thomson le 11 Juin 1946 à Aberdeen, Aberdeenshire, Scotland), John Dummer (né le 19 Novembre 1944 à Surbiton, Surrey), George Currie (né le 14 Janvier 1950 à Dundee, Scotland) et Hammy Howell (né William Howell le 24 Octobre 1954 à Wimbledon, London - décédé le 13 Janvier 1999). Founded in 1976, by Den Hegarty along with Griff Fender, Rita Ray and Horatio Hornblower, all former members of the band Rocky Sharpe and the Razors. Joining the band was Thump Thompson, George Currie and John Dummer, all ex members of the John Dummer's Blues Band. 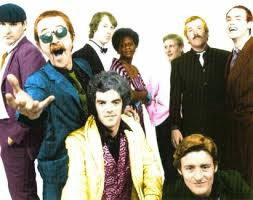 The line-up was completed by Hammy Howell and ex Mickey Jupp singer Bob Fish. 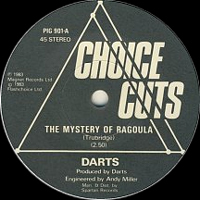 They built up a large following playing clubs and universities, although their break came after they appeared on the Charlie Gillet's show on BBC Radio London in October 1976. This secured the band a recording contract with Magnet Records, where they were teamed up with record producer Tommy Boyce who had previously produced The Monkees. 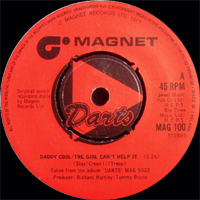 Covering 1950s rock and roll hits they scored their first UK hit in December 1977 with a medley of "Daddy Cool" (originally a U.S. 1957 hit for The Rays) and Little Richard's 1957 hit "The Girl Can't Help It". 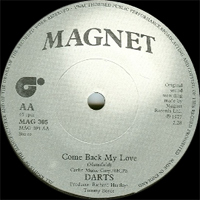 More cover versions followed in 1978 with "Come Back My Love" (originally recorded by U.S. R&B group The Wrens in 1955), "The Boy from New York City" (originally a U.S. hit for The Ad Libs in 1965). 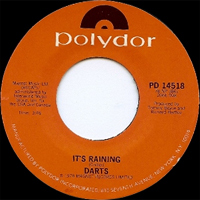 Their next single of 1978 was an original song "It's Raining" written by band member Griff Fender (real name Ian Collier). All three of the aforementioned hits reached number 2 in the UK Singles Chart and sold a combined total of 1.25 million copies. Following "It's Raining" in September 1978, Hegarty left the band to tend to his terminally ill father, and he was replaced by Kenny Andrews. Their final hit of 1978 was "Don't Let It Fade Away" (written by George Currie). "Get It" (written by Horatio Hornblower, under his real name Nigel Trubridge), followed in early 1979 and they also covered Gene Chandler's U.S. 1962 hit "Duke of Earl", produced by former Wizzard frontman Roy Wood. This was their last UK Top 10 hit, their only other sizeable hit coming in 1980 with a cover of The Four Seasons "Let's Hang On!". During the year, the line-up changed with Currie, Fish and Dummer leaving the band. Duncan Kerr (guitar) and Keith Gotheridge (drums), both formerly with Plummet Airlines joined, and ex-Mud guitarist Rob Davis briefly joined the band, before moving into songwriting and production work. By the end of 1980 their hits had dried up and in 1983 they began to do theatre work appearing in the theatre production of Yakety Yak. In 1981, Hegarty became a television presenter, most notably on children's programme, Tiswas. In 1985 Fender and Ray managed and produced the UK a cappella girl group The Mint Juleps who scored two minor chart entries with "Only Love Can Break Your Heart" (originally by Neil Young) in 1986 and "Every Kinda People" (originally by Robert Palmer) in 1987. The band is still in the Top 500 selling list according to the Guinness Book of British Hit Singles. The band reformed in 2006 for occasional appearances, which continue to draw a strong following and consistently sell out.